Goldfish is native to the tropics and prefers a warm, humid negative environment. Home care can be placed in areas with brightly scattered light. In the hot summer season, pay attention to sun protection. It is best to transfer it to a cool and ventilated place for maintenance. Otherwise, strong sun exposure can easily cause soft rot of the goldfish flower stems and cause death. The winter and spring season is the flowering period of the goldfish flower, and then it needs sufficient sunlight to make the color beautiful. Goldfish flower has more requirements for water in the strong growing season. In spring, summer and autumn, it is necessary to keep the soil moist, so as to "see dry and wet". Usually keep the environment humidity, it is best to spray around the pot often. Water, but avoid getting wet with the leaves. If you don't have time to take care of it, you can put the flower pot in a shallow basin filled with water, which will effectively ensure a small range of ambient humidity. After entering the winter, the goldfish flower enters the dormant period and grows slowly. At this time, the amount of watering should be reduced accordingly, and the proper drying should be maintained until the flower buds begin to appear. After seeing the flower buds, you can increase the amount of watering and prepare for the flowering. 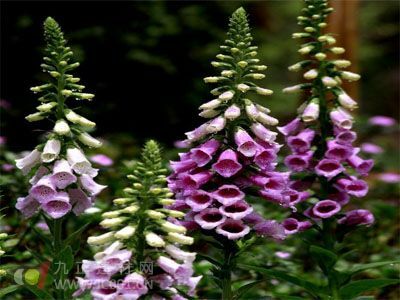 Goldfish flower has few requirements for fertilizer and water, and it is enough to apply a thin organic fertilizer and water every half month or so. If you can increase the amount of phosphate fertilizer before the bud, you can bloom more and bloom more beautifully. After the flowering period, the necessary pruning is carried out to remove the dead branches and cut off the branches. This can promote the plant to branch more and lower the whole plant, and it will be more prosperous in the coming year. But if you want to use it as a hanging pot, then the appropriate truncation of the branches will do. Next: What is Dushan jade?